Tue., July 17, 2018, 1:26 p.m.
WASHINGTON – Democratic lawmakers joined scores of scientists, health providers, environmental officials and activists Tuesday in denouncing an industry-backed proposal that could limit dramatically the scientific studies the Environmental Protection Agency considers in shaping protections for human health. 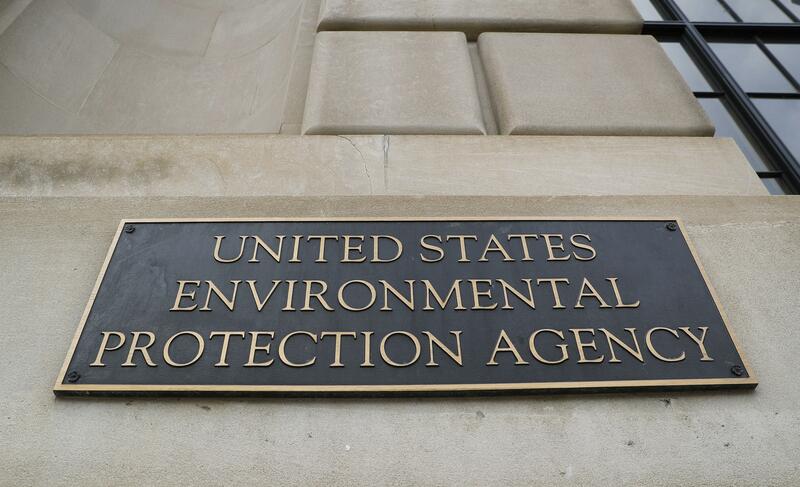 If adopted by the Trump administration, the rule would allow an EPA administrator to reject study results in making decisions about chemicals, pollutants and other health risks if underlying research data is not made public because of patient privacy concerns or other issues. Opponents said the move would throw out the kind of public-health studies that underlie enforcement of the Clean Air Act and other landmark environmental controls, since the studies drew on confidential health data from thousands of individuals. The rule was proposed by then-Administrator Scott Pruitt before his resignation earlier this month amid mounting ethics scandals. At the public hearing Tuesday, opponents outnumbered supporters. It “enables the public to more meaningfully comment on the science” behind environmental regulation, said Joseph Stanko, a representative of industry trade groups and companies affected by what he said were increasingly stringent air-pollution regulations. New York state officials and representatives of public and private universities were among others speaking against the proposal. Opponents also included community health practitioners who had taken time off their jobs to speak at the hearing. Researcher Pam Miller, who works with Alaska Native communities affected by toxins, said she traveled from Anchorage to speak at the meeting. Hospital nurse Erica Bardwell came from nearby Arlington, Virginia. Health workers “care about patients and won’t surrender their confidentiality. Which means studies won’t get done,” Bardwell said after her testimony. “Which is the point” of the proposal, Bardwell added. Critics said the policy shift is designed to restrict the agency from citing peer-reviewed public-health studies that use patient medical records that must be kept confidential under patient privacy laws. Such studies include the Harvard School of Public Health’s landmark Six Cities study of 1993, which established links between death rates and dirty air in major U.S. cities. That study was used by EPA to justify tighter air-quality rules opposed by industrial polluters. While Pruitt introduced the proposal, the EPA is continuing the steps toward its formal adoption under the new acting administrator, former Pruitt EPA deputy Andrew Wheeler. In an email, EPA spokesman James Hewitt indicated Tuesday that Wheeler wanted to balance transparency and privacy concerns. “Acting Administrator Wheeler believes the more information you put out to the public the better the regulatory outcome. He also believes the agency should prioritize ways to safeguard sensitive information,” Hewitt said. The proposal is open for public comment through mid-August before any final EPA and White House review. Published: July 17, 2018, 1:26 p.m.